The dates of the monthly services and activities are posted on the Calendar. 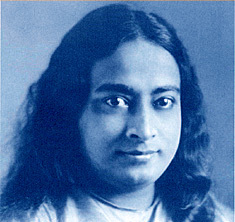 Every Wednesday evening, the Santa Fe Meditation Circle joins with SRF members and friends in every land in creating a worldwide circle of prayer, which includes the healing technique practiced and taught by Paramahansa Yogananda. For more information on the Worldwide Prayer Circle, and/or to submit a Prayer Request, go to the "Prayer Request" page. Special services are held throughout the year to commemorate the birthday and the mahasamadhi (conscious final exit of a yogi from the body) of each of the SRF gurus. These services are primarily intended for those who are SRF students or other devotees who regularly attend services. However, all are welcome who are well enough acquainted with SRF teachings to appreciate the significance of the Guru-disciple relationship and to participate in the service with sincerity and reverence. Please be aware that the service format is different from that of a regularly scheduled Sunday or Thursday evening service. Dates are posted on the Calendar.